Add a touch of class to your Hen Party with this elegant, black and pink invitation, decorated with illustrated hanging jewels, and glittery letters. You might not be able to get your name in flashing lights, but this sparkly Hen Do invite is a suitable alternative. 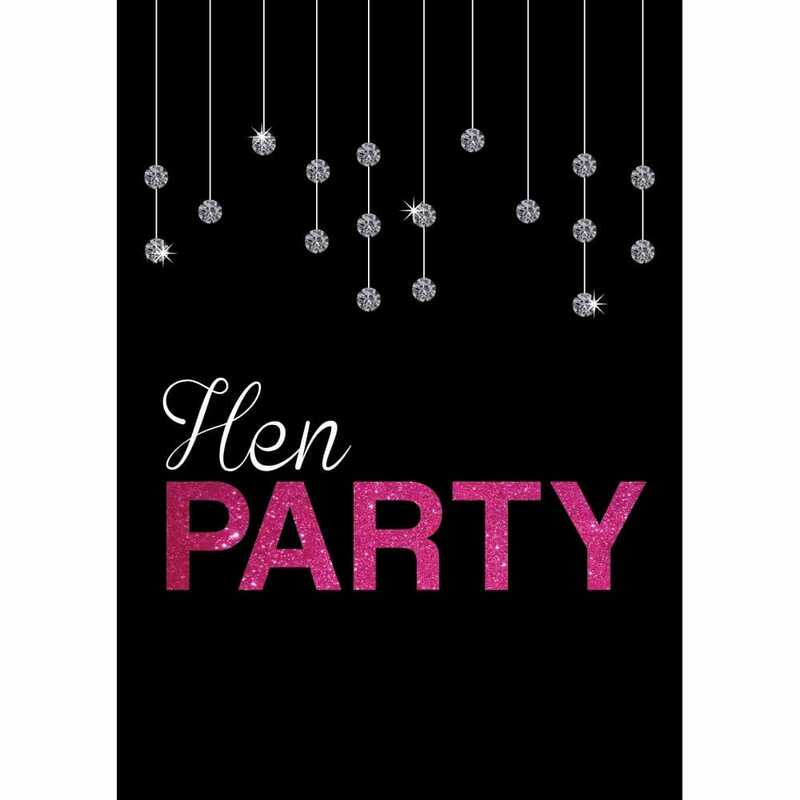 Download your free, printable Hen Party invites here.